Home/All News, Brand Consulting, Digital Media, Event Management, Updates/2017 NBA Summer League Tickets On Sale Now! 2017 NBA Summer League Tickets On Sale Now! 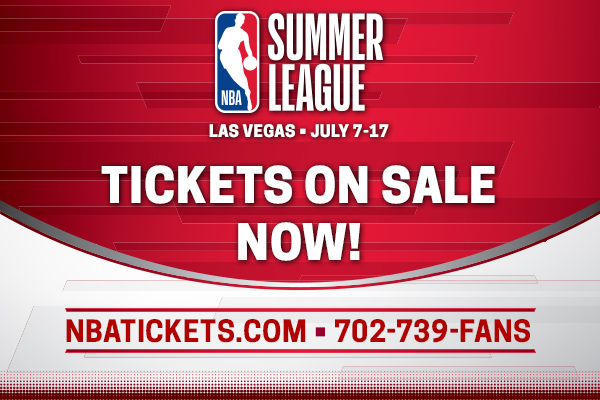 Tickets are NOW ON SALE for the NBA Summer League taking place July 7-17 in Las Vegas. This is your chance to get a first look at the NBA superstars of tomorrow. President of HallPass Media and VP of Business Operations for the Vegas Summer League Albert Hall was able to chat with Las Vegas sports radio shows Cofield and Company on ESPN 100.9 FM as well as JT the Brick on Fox Sports 1340 AM about all you’re going to get with your ticket.